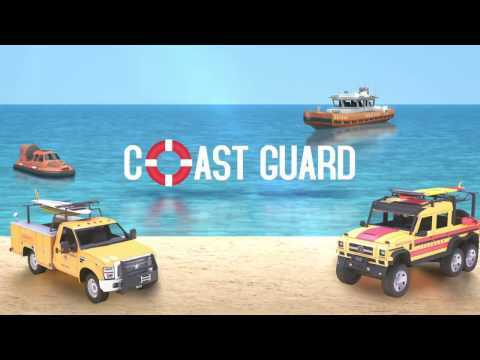 Coast Guard is a parking game that will take you along the beaches and into the sea. Become a member of the Coast Guard team, looking for people in need and problems to solve! + ENVIRONMENTS Realistic: Discover sunny regional settings! Drive patrol vehicles on the sand, from there take the road if you need to move to another location or jump into a rescue boat and pilot into the sea! When you arrive at your location, do not forget to park!